in 2007 with the birth of iPhone iOS, a brand new user interface was built around touch and swipe gestures. This was a revolutionary new technology that brought large numbers of users to a single device, in addition to spawning touch imitators like Android. Now with iPad, there is an even wider audience that can benefit exponentially from this new paradigm for mobile computing. 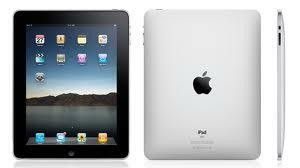 Web Article Will the iPad kickstart pharma sales and marketing? Have you Validated your CRM? A seamless cloud-based app that empowers your people, streamlines your operations, and improves your bottom line.